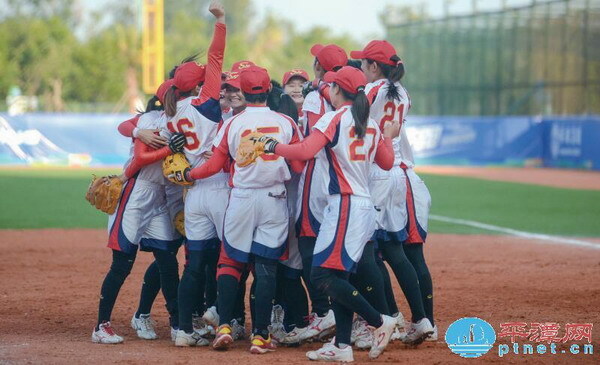 Shanghai stunned champion favorite Nantong (Jiangsu) 4-0 to claim the championship in women’s softball at the first National Youth Games on Monday. The final was intensely played. Shanghai managed to score two points in the 4th and 5th innings, holding Jiangsu’s attacks at bay till the last minute. “It was a great match for both teams. We did perfectly in every facet of the game,” said Liu Yaming, coach of the Shanghai team. The two teams met three times throughout the events held in Pingtan, Fujian province. Shanghai won all of them, ending an embarrassing losing streak to the powerful Jiangsu team in the past seven years. “I guess Pingtan is the land of luck for us. It is a huge win for Shanghai,” said Liu. Eight teams participated in the softball events. The Xiamen team from Fujian province won sixth place. The National Youth Games, the largest sports meeting Fujian has ever held, concludes on Tuesday.